Strong Chrome Plated Steel Frame. The baskets shown in the picture are not included. See below the accessories. 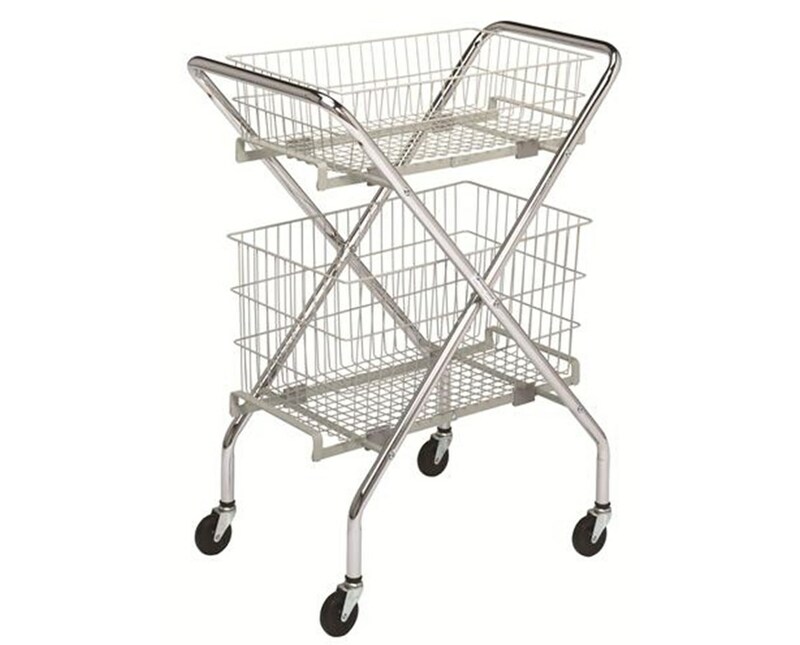 The Brewer Utility Cart is lightweight, yet stable and durable cart frame is used with 6" and 12" wire baskets (Sold separately) to create a true all-purpose transport vehicle for busy hospital staff to easily move instruments, equipment, mail and pharmaceuticals to any location even in the busiest of healthcare facilities. 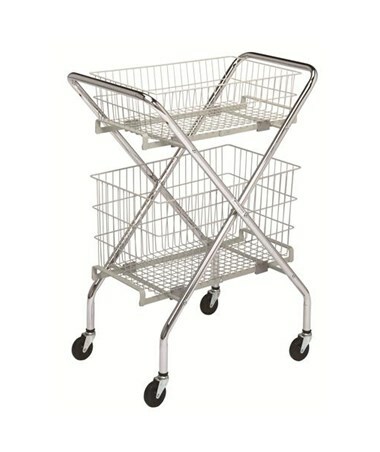 It features strong chrome plated steel frame, 3” rubber wheel, ball bearing casters.It has a weight capacity of 50 lbs. New model comes in a white powder coated finish. It does not require any assembly. It includes a full 5 year warranty. Purchase right here online, simply press “add to cart” above to complete your online order in a few easy steps. 4 3" Ball Bearing Casters.